While two people have been taken into custody, police suspect that the prasad may have been deliberately poisoned and are probing the incident. 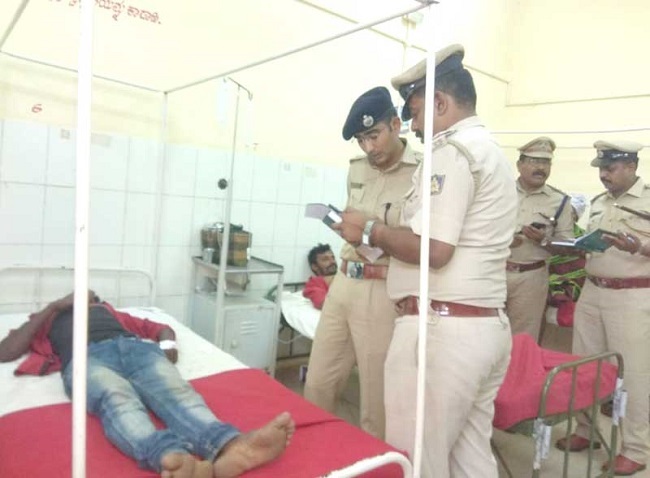 At least 10 persons including one child were killed and more than 80 were taken ill after consuming prasad from a temple in Chamarajanagar district. The tragedy took place in Sulwadi village of Hanur taluk on Friday. According to district level officials, a temple's gopura was being inaugurated which is why so many people had gathered at the temple After the ceremony was completed, the devotees were given rice as prasadam. The DHO suspects that the rice was poisoned, the official said. A sample has been sent to Forensic Science Laboratory in Bengaluru for checking. 40 of those survivors have been taken to KR Hospital in Mysuru where some of them are being treated with ventilator support. "When the devotees consumed the prasadam, several of them began vomiting. The people present outside the temple called 108 and the ambulance rushed them to Kamagere Holy Cross Hospital. Death toll may increase but we are trying to stabilise all the patients. They are spread across various private and government hospitals in Mysuru and Chamarajanagar district,” Deputy Commissioner BB Kaveri of the district told TNM. Chief Minister HD Kumaraswamy has expressed shock over the incident and asked for a thorough probe. "There is an unfortunate food poisoning incident in Kamgere village. I have instructed the Principal Secretary and the deputy commissioner, the DHOs of Mandya, and Mysuru help to Chamrajnagar health officials tackle the matter. The samples of the rice have been sent for testing. We will get to the bottom of this," CM HD Kumaraswamy said. "It may be pesticide. The doctors at the hospital said that it could be a possibility. We are trying to find out who did this and why.. The samples have been sent to FSL Lab," Chamarajanagara SP Dharmendher told TNM. IGP Southern Range Sharath Chandra confirmed to TNM that two people-- Gowdruchinnatti, a member of the temple's administration and manager Maadesh have been taken into custody for questioning. "There was a dispute between people in the village regarding the installation of the Gopura. The suspicion is that they could have mixed the poison due to this,” he said.